COLOR Projects is a powerful photo editing software that offers unique and new possibilities to transform digital colour photographs into amazing works of art - with intelligent tools and an efficient and crystal clear workflow. It can be used as a plug-in to Adobe Photoshop and Lightroom, and as a standalone application. COLOR Projects is the new standard for intense and expressive images and offers all the tools a professional photographer or photo enthusiast might need to create masterful images. With 84 fine-tuned presets, 85 high-quality expert filters, 35 professional film emulations with Grain Engine and a perfectly tuned tonal value transformation, you can now create unique high-end results in full 16-bit quality! 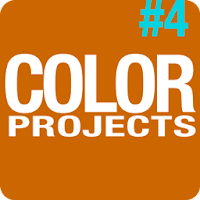 Disclaimer: Direct downloads for the lastest version of COLOR Projects 5.52.02653 are provided by the official software's author, we can't guarantee safety, availability or download speed. Moreover, we don't and we won't provide any pirated/illegal versions or tools. We recommend you to avoid it as these methods can harm your device. If you like the software, buy it to support the developers. (We provide software discounts for many worldwide brands).